The BitGive Foundation announced today that it has become the first nonprofit bitcoin organization to achieve 501(c)(3) status, meaning the Internal Revenue Service (IRS) officially recognizes it as a charitable organisation in the US. This means that any gains made by the foundation will not be taxed, thus directing more money to its supported causes. BitGive is dedicated to improving the public health and environment worldwide by giving funds that it raises to various philanthropic organizations and projects. It accepts corporate and individual donations, and counts BitPay, Xapo, LibraTax and Roger Ver among its founding donors. Today the foundation also launches two new initiatives: the Founding Donors Campaign and a membership program for individuals. Each is open to donors worldwide. The new campaign is aimed at one-shot donations from larger groups or companies to help get the foundation’s activity rolling, whereas the membership program is being offered to individuals on an annual basis to support the underlying operations of the organization. Furthermore, in the following year, the foundation plans to offer an annual component to corporations and larger donors. Gallippi said that the organization’s long-term functionality is to have the equivalent of a multi-million-dollar investment trust, in bitcoin, from which it can give to causes and projects. That way is by running fundraising campaigns for particular projects. However, having secured 501(c)(3) status, BitGive now has the green light to build that fund. In effect, though, the fund will function like an endowment, in that the incoming donations will rise in value over time and the foundation will be able to sustain itself and provide more charitable giving based on those gains. It won’t be an endowment in the technical sense, Gallippi said, explaining that the bulk of funds from endowments have to sit untouched for some time. Gallippi said that while the investment trust exists, it isn’t yet large enough yet to be funding projects, so BitGive is currently running individual campaigns too. 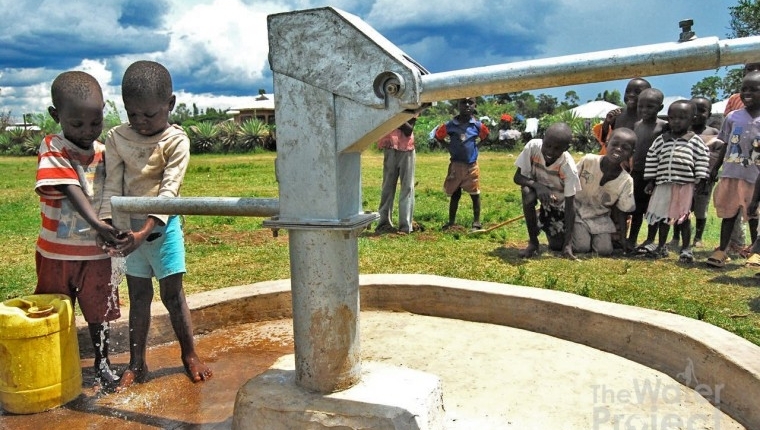 The organization’s current campaign is for The Water Project, and has a fundraising goal of $10,000 in bitcoin. Gallippi said BitGive kicked the campaign off with 2BTC from the main fund and is encouraging the bitcoin community to contribute. In earlier efforts, BitGive helped raised $4,850 in one day for Save the Children‘s fund for the Philippines following Typhoon Haiyan. The foundation has also donated 1 BTC to Team Rubicon for Tornado Relief across the Midwestern US. Team Rubicon is a nonprofit organization that deploys veterans for disaster relief.